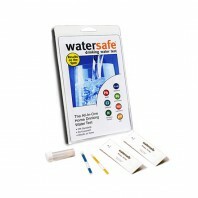 WaterSafe manufactures water testing kits that you can use to find out whatâ€™s in your drinking water at a deep level. 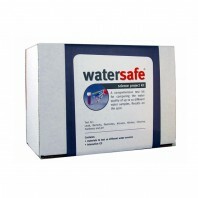 WaterSafe water testing kits help you identify harmful bacteria and contaminants in your water like pesticides, chlorine, nitrates, lead and more. These water test kits are easy to use and typically only require one step to effectively test your water. 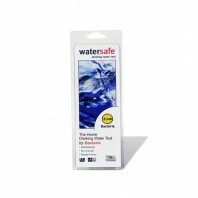 WaterSafe water testing kits comply with all US EPA standards and are safe and convenient for you to use. No mixing or measuring is necessary and theyâ€™re always disposable. 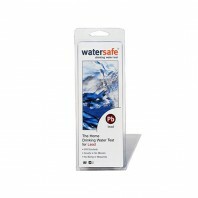 Discount Filter Store is a distributor of WaterSafe water test kits, including All-in-One WaterSafe Drinking Water Test Kits, Bacteria WaterSafe Water Test Kits, Lead WaterSafe Drinking Water Test Kits, WS-425W WaterSafe Water Test Kits and more. If you have any questions, comments or concerns, please contact us or call 1-800-277-3458. Additionally, Discount Filter Store carries water test kits from other leading brands such as Culligan and SenSafe.